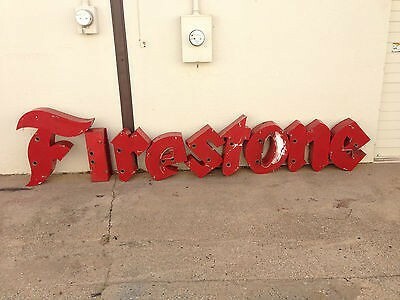 These Individual Firestone tires are hung on the side of the Firestone Building. Some versions of this sign are neons and will light us for display at night. These are done in a red porcelain.